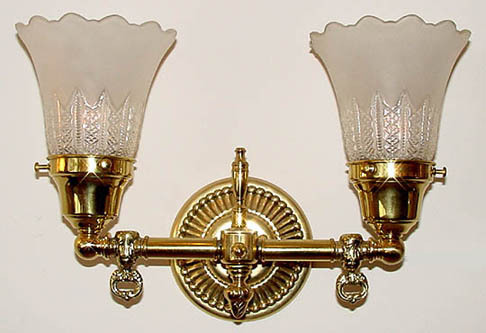 This Federal Electric wall sconce is well suited for many areas including a matching pair of vanity lights, beside the vanity mirror or beside a fireplace. Extend the width, add an extra down light, change the metal color. It's all up to you! Width 13 In. or Custom / Projection 6 In. / Depth 7 In.